Stay at this recently-remodeled hotel in Springfield, conveniently located just off US Highway 65. The Best Western Deerfield Inn is centrally located in Springfield, Missouri, just minutes from local attractions such as the Wilson's Creek National Battlefield, the Laura Ingalls Wilder Museum and the Missouri Sports Hall of Fame. Nearby recreational activities include golf, ice skating and hiking. Hotel guests have the option of a well-appointed deluxe guest room or suite with a four-person hot tub. The complimentary deluxe continental breakfast includes make-your-own fresh waffles, hard boiled eggs, and biscuits and gravy (biscuits and gravy served on Saturday and Sunday mornings). Also we have an evening hospitality hour featuring coffee and fresh baked cookies, Sunday through Thursday evenings. Guests will enjoy the indoor pool, family game room, and meeting facilities to accommodate up to 50 people. The Best Western Deerfield Inn is near Hammons Field Baseball Stadium, the Exposition/Trade Center, Wonders of Wildlife Zooquarium, the Discovery Center, Dickerson Park Zoo and the Exotic Animal Paradise. Several nearby universities include Missouri State University, Drury University, and Evangel University. 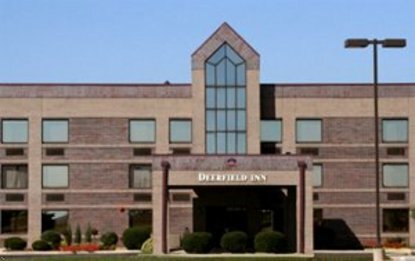 For the "Best" hotel experience in Springfield, Missouri, make an online reservation today at the Best Western Deerfield Inn.